The African Export-Import Bank (Afreximbank) has partnered with pan-African energy conglomerate Aenergy to support sustainable infrastructure projects with innovative financial mechanisms, including green bonds. Under the agreement, the two parties have the capacity to issue at least US$850mn in green bonds in the next five years, says Divaldo Rezende, Aenergy’s global head of climate and social finance. The co-operation will promote low carbon technologies by attracting financing and specialised resources for energy generation, mainly in the renewable and transportation sectors. It will also develop investment funds for these projects. To this end, Afreximbank plans to be the first multilateral bank in Africa to issue green bonds in partnership with top-tier stock exchange platforms. According to Amr Kamel, executive vice-president of business development and corporate banking at Afreximbank, the facility will be a huge opportunity for climate finance for African countries. “It will create value from environmental assets and promote emissions of green bonds to support African governments and African companies in their pursuit of infrastructure investments, and will sustain their social and economic development,” he says. The two parties have a “private pipeline of identified operations which they are evaluating together”, a spokesperson for the bank tells GTR, adding that they are targeting to complete one by next year. 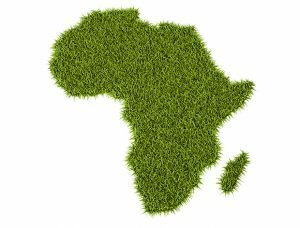 Although the bank concedes that current demand for green bonds in Africa is low, it foresees “progressive growth” in parts of the continent. “In the context of fighting climate change and achieving the sustainable development goals, green bonds are considered strategic to the development of a low carbon economy in Africa,” the bank says. Multilateral development banks made commitments totalling US$35.5bn for climate finance last year, with Africa receiving just US$2.3bn, less than 1% of that amount. The accumulated green bond market globally up until 2017 is US$865bn – and again Africa’s share is negligible. Examples of green bond issuers in Africa to date include the African Development Bank (US$500mn), South Africa’s Industrial Development Corporation (US$700mn), Nedbank (US$490mn) and the federal government of Nigeria (N10.69bn). Angola-based Aenergy implements projects across Africa in various industries, namely gas-to-power energy production, oil and gas, rail transportation, industrial installation and mining services. Its services include project development, procurement, logistics, engineering and execution, operations and maintenance services. The post Afreximbank targets green bonds to boost climate finance appeared first on Global Trade Review (GTR).